Imagine that you or a loved one sustained a left leg crush injury requiring amputation, 6 broken ribs, an orbital bone fracture, a tib/fib fracture, a pelvic fracture, internal bleeding along with a traumatic brain injury involving a subdural hematoma. Not pretty. It’s likely that your injuries would be categorized as “catastrophic” under the Insurance Act. Often, following these catastrophic injuries, the client has a difficult time getting back to their pre-accident state of mind or physical self. The client might have a difficult time managing their activities of daily living, work duties, self-care duties, housekeeping and home maintenance, along with a whole other slew of activities of daily living which are difficult to predict. The focus of this Toronto Injury Lawyer Blog Post will be on mental capacity, and not physical capacity. The reason for that is in Ontario, mental capacity is very important for any personal injury case. Ontario’s Rules of Civil Procedure require that a client cannot act for himself or herself if they are a “person under disability“. For you and me, the term “person under disability” can mean a lot of things. Is a handicap person a person under disabilty? Perhaps. But under the Rules of Civil Procedure for car accident cases, does a handicap person and a person under disability mean the same thing? The quick answer to that question is “no”, they do not mean the same thing. 6. A person is incapable of managing property if the person is not able to understand information that is relevant to making a decision in the management of his or her property, or is not able to appreciate the reasonably foreseeable consequences of a decision or lack of decision. All of this might seem like a lot of legal jardon to you. And, as a lawyer, it certainly contains a lot of legal jargon for me as well. What any good law firm will do is retain the services of an experienced capacity assessor to determine whether or not the client has capacity under the Rules. A capacity assessor can be anybody who is trained and certified to administer and rule on capacity assessments. It can be a psychiatrist, a psycholoigst, a registered nurse or even a social worker. 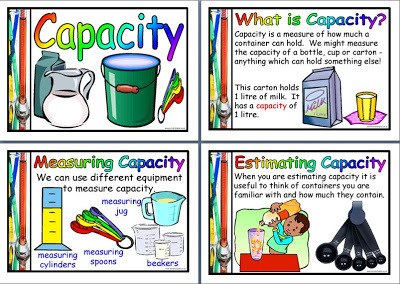 Often, capacity assessors have been practising in the field for many years. They are well versed with the law, and how to deal with the most seriously injured parties. The sooner a lawyer gets a capacity assessment, the better. That way, they know they will be taking instructions from, and communicating with a recognized party under the law. If their client does not have capacity, then the lawyer must appoint a Litigation Guardian, or a Guardian of Property, or a Guardian over the Person. This will entail an Application to the Estates Court and getting the office of the Public Guardian and Trustee involved. You will often see insurers requesting and paying for capacity assessments after a settlement has been reached. This is done because the insurance company wants to ensure that the agreed up deal is not reneged on because of an incapacity argument down the road. What can potentially happen is an insurance company can pay out millions following a serious car crash cash. If the injured party goes through the settlement money very quickly, the insurance company does not want that party coming back after them again years down the road once all of the money is gone. Despite the fact that the client may have signed a release, they might argue that they didn’t have the capacity to fully understand or appreciate the release at the time it was signed; hence the arguments is that the release is null and void. This is a really ugly situation for all of the parites involved, including the insurance company. There was a case out of Peterborough where a man who was seriously injured following a bicycle accident recovered $500,000 dollars. The money was gone within 3 years. The man tried to re-open the case, arguing that he did not fully understand the settlement. Essentially, his legal counsel argued that he did not have the mental capacity to appreciate the settlement. The man lost his argument in Court, but the case dragged on for many years and cost the insurance company thousands of dollars to defend the claim. I will end this blog post with something completely unrelated to the practice of law. I think that Rudy Gay is the best basketball player to wear a Toronto jersey since Vince Carter. With all due respect to Chris Bosh, “that guy” is simply a remarkable talent. I’m not saying that Gay will set new records, but he is that talented.